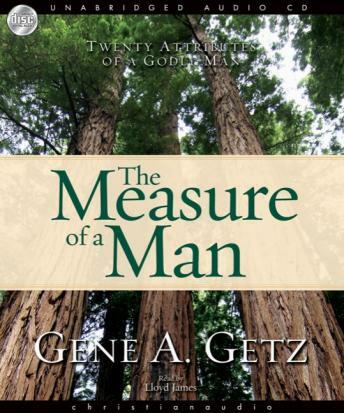 In this revised edition of the best-selling book The Measure of a Man, Getz delivers the message of what it takes to be a man of God. Men will gain encouragement for what they can be in Christ - as fathers, husbands, and mentors to other men. Since 1974, The Measure of a Man has taught hundreds of thousands of men around the world how to live faithfully, lovingly and spiritually according to God's direction. Drawn from Paul's letters to Timothy and Titus, true masculinity isn't measured by a man's strength but by these 20 biblical guidelines. With life applications and words of inspiration, this updated edition speaks in practical terms to men from every generation.